After breakfast take the transfer to Gangtok. “The Capital of Sikkim”. Check-in to your hotel on arrival. 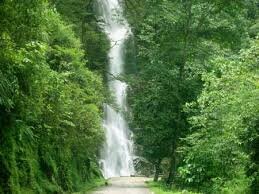 After lunch embark on a half day local sightseeing tour of Gangtok covering Enchey Monastery, Handicraft Centre, Jhakri Waterfalls, and Flower Show. Evening free or at own. Overnight in Gangtok.